For many patients choosing the right surgery/clinic for cosmetic surgery, such as liposuction, is difficult since patients do not understand the legal requirements put in place by medical governing bodies to protect them. Sadly, not all doctors follow these rules and since the medical industry is not policed some patients have had bad experiences. It has been at patients’ request that we have taken the time to correlate information and write this article to help patients make informed and educated decisions regards their health. The information given below is based upon years of patients reported experiences and is for consumer protection. It is unbiased and unprejudiced. It is simple stated matter of fact that can be researched and accessed by any one. All potential patients should make their own choices after considering all the relevant information and upon their own personal experience with the surgeon/clinic. The first step in selecting a surgeon for your liposuction (liposculpture/lipoplasty) procedure should always be looking at the prospective doctor’s qualifications. Currently, only two organizations have any form of training for liposuction. The Australasian College of Cosmetic Surgery (ACCS) and the Australian Society of Plastic Surgeons (ASPS). Holding a Fellowship in a College indicates that the doctor has fully completed training and demonstrated competency levels in that field of medicine. A Fellowship is the highest qualification and should not be compared to a member, or associate member, of an organization, which shows only that a doctor has an interest in that field. 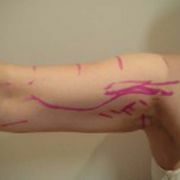 In regards to the very specialized area of liposuction, a Fellowship in the ACCS or ASPS indicates an exposure to liposuction techniques but doesn’t necessarily make one an expert in it. Additional training and experience is needed for that. The ACCS is presently the only organization in Australia to offer a full Diploma in Lipoplasty (liposuction). To obtain this diploma one must complete the basic and advanced modules, which involves theory and hands-on training. They then must submit 100 liposuction cases that are critiqued by their colleagues. The critiquing is important as one can be performing a procedure for years but if their results are never compared to industry standards then they may have been performing sub-optimally for all that time. Having a Diploma in Lipoplasty means that a doctor is dedicated to that procedure, experienced and has been performing to a high standard as assessed by his/her colleagues. A Diploma in Lipoplasty is thus not an easy qualification to obtain but certainly one worth looking out for when patients are considering Lipoplasty. You can check qualifications by visiting the ACCS and ASPS websites and by ringing the prospective College. All doctors who perform procedures should have ongoing training. So ask when they attended their last conference. This is important, as many doctors don’t keep up training as it personally costs them and drives down their profit margin. They thus never learn new techniques or hear the experiences of their colleagues, which can better their own work and help to avoid pitfalls. Simply having done a course in liposuction doesn’t mean that a doctor is experienced. As you can see above its important for a doctor’s work to be critiqued by colleagues to ensure mistakes aren’t being repeated. It’s certainly okay for a doctor to be new at a procedure as everyone must learn somewhere, but they must be upfront with patients about their experiences. As a potential patient, ask to see results in the form of ‘before and after’ photographs. All potential patients should look at ‘before and after’ photographs. Websites can only a show a few since search engine companies penalize excessive photo content. So feel free to ask your prospective surgeon for more. Look for similarities of yourself in the "before" to compare. Remember that the better condition your body presents in, generally the better results that are achievable. So be realistic. “After” photos that seem too good to be true usually are. 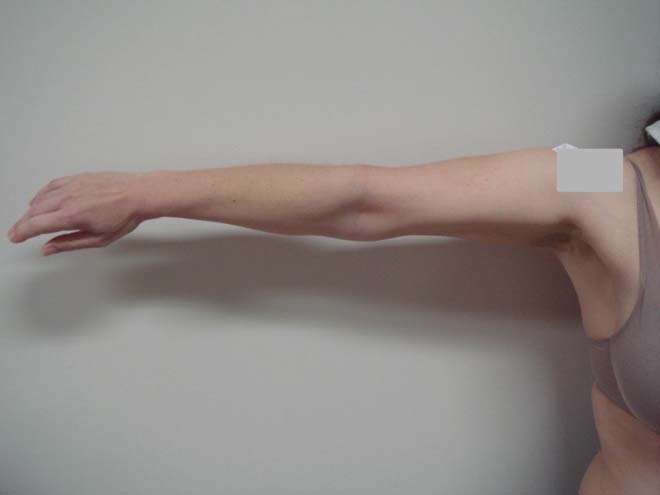 Look for signs that the photo has been edited such as straight line contours, blurred areas and” too” clear areas, skin markings to see if the “after” really does belong to the same patient. 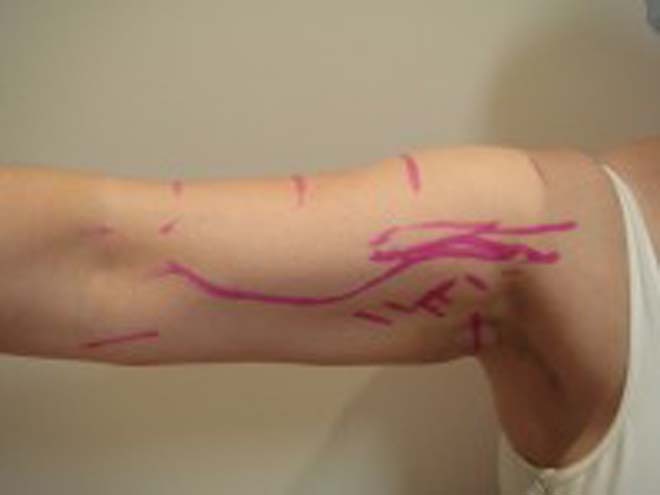 By law, doctor’s photographs should be of their work only and not be edited unless to remove an identifying sign such as a birthmark or tattoo. Please be aware that testimonials are illegal for Australian doctors and unreliable. This is why you will rarely see testimonials about the best and most ethical surgeons. If you do read a testimonial, use your common sense. Ask yourself, who wrote it and why? There is no rating system for doctors in Australia. Reading that a doctor is rated in the top 5 for example, only indicates that the patient needs to be wary of that doctor’s practices since they are already breaking the law. Do not believe all you read on the internet! Don't be afraid to ask questions and do your research. Make your own mind up after a thorough consultation with full transparencies of the surgical process, costs and quality of the facilities has been examined. And remember never to make decisions on the day of consultations and go with your gut instinct. If it doesn’t feel right, get a second opinion. All patients wanting to undergo procedures must have a consultation. This should be a thorough assessment of suitability of that patient for the procedure, an explanation of all potential risks, a discussion of realistic results which pertain directly to that patient, and a written obligation free quote given. All patients should leave with a clear understanding of the procedure and realistic outcomes. This level of consultation takes time and should be charged for appropriately when you see the doctor who will perform the surgery. If they are good at what they do they value their time and they value you. Consultations are usually around $100 to $250. If one can’t afford the consultation then generally one can’t afford the surgery. Be wary of free nurse consultations. This might be an okay introduction but you must see the operating doctor whose approach to your individual case will provide more directed and important information than that of the nurse’s. A nurse consultation is not a substitute for the doctor’s and you should not book in for the procedure until you see the operating doctor. During a consultation you should be free to ask about anything that concerns you. Patients should never be made feel uncomfortable or embarrassed. You should not feel talked into anything you didn’t want. It’s okay for a doctor to make a recommendation if the patient asks for one, but not to be offered unrelated procedures. These recommendations can be considered in the “cooling off” period. There are numerous cases of patients nowadays who reported feeling inadequate once they had consulted the doctor rather than feeling confident with their decisions. This is because patients are somewhat vulnerable, as they already feel unhappy with themselves and may be open to suggestions about additional treatments they wouldn’t normally want, or even need. This creates insecurity and before you know it the patient has spent thousands on a treatments and usually isn’t any happier. Patients should never feel pressured to make immediate decisions about any procedure, especially surgery. In fact, this is the one sign that should tell a patient to run! We will tell you a secret. A doctor, who is passionate about their work, knows that they are about to put a lot of time and energy into getting a patient the maximal results possible for them. They are in fact interviewing the patient for their physical, mental and motivational suitability for the procedure since the patient has a role to play in the success of their treatment, just as the patient is interviewing them to be their doctor. It all comes down to mutual rapport, respect and confidence. “Cooling off” periods are currently not a legal requirement but are an ethical and common sense one. Under no circumstances are patients obligated to book a procedure with a doctor because they had a consultation with them. All patients who wish to undergo a surgical procedure (and those having an expensive non-surgical one) should wait at least 7 days before having that procedure. An ethical clinic will have a “booking” protocol in place and may offer a second consultation with the doctor at no additional charge to discuss further concerns before booking in the procedure. A patient should never ever book their surgical procedure on the day of the consultation. The reason for this is that patients present emotionally charged and vulnerable about a problem that worries them. In this state patient’s may not hear or understand fully the information presented, not ask all their relevant questions or just hang on a few words the doctor says rather than the procedure as a whole. Sadly, some doctors are very charismatic but don’t back up their bedside manner with their work, whilst others are amazing surgeons but have poor bedside manner. Which would you prefer? Consequently, many patients have reported feeling talked into procedures that they weren’t fully prepared for with the consequence of unsatisfactory results. The only way around this is a cooling off period and a second consultation or at least open invitation by the doctor to ask questions at any time. Please note that before a patient should sign a consent form they must feel fully informed about the risks. This can only occur if you have read information provided by the doctor, have asked questions and that those questions have been adequately answered. If this hasn’t happened then you should not proceed with the treatment. In Perth all liposuction must be carried out in WA Health Department licensed hospital. This is 100% for patient safety. All surgical procedures (including simple ones like blepharoplasties) run risks. The WA Health Department requirements for a hospital are strict and are mandated at a mechanical, electrical and structural level as well as daily protocols for sterility and patient management. The Health Department checks annually that all standards have been maintained. Reaching the high standards to run a hospital is expensive and time consuming. These costs are reflected in treatment costs. Luckily, day hospitals are the most cost effective option where the liposuction case is deemed suitable. Under no circumstance in WA can liposuction be performed in a doctor’s office no matter how nice and well set up it looks. You need to ask that surgeon if they operate from a WA licensed day hospital and if they claim to be one, ask to see the current license. It should be on display in the reception area. Don’t just take their word on it! The link below lists the currently licensed private facilities http://ww2.health.wa.gov.au/Corporate/Articles/J_M/List-of-licensed-private-day-hospitals-class-B-sedation. Aftercare is equally as vital a part of the procedure as the consultation and treatment itself. It extends beyond the first 24hours for surgical procedures and especially liposuction. Good aftercare can be life saving as well as essential for maximal results. The aftercare provided by the surgeon should be clearly discussed during the consultations and should be given to the patient in writing sometime prior to surgery. Doctors should be easily accessible in an emergency and physically able to attend the patient. Doctors who fly in from interstate to do cases do not fit those criteria, since they perform their surgeries and fly back home. Their decision to operate in WA is to take advantage of the recent mining boom since they feel there is a vast supply of potential patients. There are plenty of excellent cosmetic doctors in WA, who are capable of high standard work in the safety of WA approved hospitals. This is also applicable to surgeries performed overseas. And if a patient is told by a doctor they can drive home after liposuction (regardless of whether they are sedated or not) then run because they have just put you and everyone on the road around you at severe risk! When unhappy patients are questioned about why they chose their surgeon despite ‘alarms bell’ they often state “it's because it was the cheapest quote!” The expression, you get what you pay for often applies! Medicine is relatively expensive because standards must be maintained to ensure safety. This starts as soon as a medical product or device enters the country as it must first past strict safety standards, be shown to be affective via research before it can be sold to medical clinics. It then continues into clinics, which must reach certain standards if surgery is to occur and those standards need maintaining. In addition there are business running costs and staff training. Doctors must undergo ongoing training once qualified and this is very expensive, and the reason why some doctors don’t. The best doctors will cost more. Ultimately all the costs are reflected in the price of the procedure. In some cases prices are overinflated whilst in other cases they are comparatively ridiculously low. Ridiculously low prices usually mean short cuts have been taken such as inadequate training or qualifications, inadequate facilities (or even illegal ones in WA), poor quality products or possibly even illegal imports. All of which put the patient at risk and reduce results. In general, prices around the mid range area are usually the best value provided you have done your research. Over the phone quotes are usually low to attract patients in. There can be many hidden costs such as hospital fees, anesthetist’s fees, procedure fee, garment fee, pharmaceuticals, follow-up consultation fees. In addition, every patient is different so how can a realistic quote be obtained over the phone? Patients who want surgical procedures must commit to a consultation with the operating surgeon where they should be given an obligation fee written quote that is comprehensive i.e. no additional fees to be charged at a later date. Payment plans do not exist with doctors. Where offered they are patients are referred to a credit union that offers loans to patients for medical treatments. It would be a logistic impossibility for clinics to provide payment plans as it takes a lot of staff time in tracking and following up on payments. All clinics ask for complete payment prior to surgery and hence the reason patients will use a medical loan facility. In the past the medical fraternity frowned upon doctors who encouraged loans for elective procedures fearing that they may be praying on the vulnerability patients. Nowadays with cosmetic surgery being so prevalent, it appears an acceptable form of financing operations so that patients can enjoy the benefits of their surgery whilst still young and in good health. As a general rule, never ever choose a doctor based upon pricing alone. It is a recipe for disaster. Once you have decided on their qualifications and experience is adequate then take into account if you felt comfortable and confident with the doctor. Did the doctor adequately answer all your questions? Did they have an organized approach to the surgery process? Are they operating from a licensed day hospital? Are you happy with the level of aftercare to be given? It is at this stage you look at pricing. If your preferred doctor was a little more expensive then it’s better to try to stretch your budget since in the long run a few thousand dollars will seem like nothing however remember that you will live forever with your results! Various machines have been created claiming to remove fat without surgery. For more information on these click here. At present the only proven way to remove fat 100% of the time is liposuction. This is simple common sense since it is physically removed and can be seen in a canister. It is important that clinics who offer non-surgical fat removal provide a full patient assessment of suitability and realistic results. 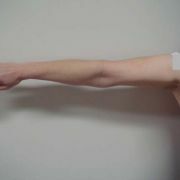 Patients should be aware that when treatment fails to meet expectations then liposuction will be the only alternative. At this point many patients feel obligated to the original clinic, since they have already build up a rapport with staff or because they have spent money. Often a sweetener such as a small discount may be thrown for what they have spent. Please note that patients are NOT obligated. They should go home and reassess whether they want further liposuction treatment and start the search process for doctors who specialize in this procedure. This is definitely one of those times where a patient should get a second opinion about liposuction rather than just stay with the original clinic. Don't fool yourself it's not a holiday. When you are in pain recovering just remember you can’t use the stronger analgesia medications doctor’s prescribe in Australia in Asian countries and no you can’t drink alcohol for at least 7 days after surgery! Whilst travel companies are popping up everywhere offering you a safe and wonderful experience consider these things. Results vary, even in the most skilled of hands. At least in Australia you can return to your surgeon if unhappy or you need any adjustments. This won’t occur if the treatment is in Asia despite what your travel insurance says. They often simply send unhappy patients to a surgeon in Australia who has no personal interest in fixing the problem since he wasn’t the one who performed the original surgery. The truth is once the skin is altered it can’t ever be returned to the way it was before. The new surgeon can only do the best that he/she can. In Australia you can talk to your doctor prior to surgery and make a fully informed consent. Overseas, you usually do not get the chance to meet them first, if you do you often have a language barrier and finally there are many cases where the arranged treating doctor wasn’t the surgeon on the day, but rather his underling. And the results showed the lack of experience! And just because a hospital looks clean doesn’t mean that it is. Asia’s resources lie in its large workforce, which they can pay minimal wages too. This means that there are a high number of workers employed as cleaners; it doesn’t mean that there are strict protocols in place for sterility. This is why we see so many of the antibiotic resistant bugs overseas. When patients treat overseas in a hospital and then need further treatment in Australian hospitals they risk contaminating our hospitals thus putting other patients at risk. These superbugs are very difficult to treat and are life threatening. Infections do occur from overseas treatments. Just ask that poor young Perth woman that featured in the “Women’s Day” magazine. She ventured to Thailand for breast implants and returned so infected that she nearly died twice and ended up with a double mastectomy to save her life. Her case isn’t isolated; the medical profession sees them all the time. They don’t reach the media as often because people hear the warnings about surgery overseas but do it anyway. After things have gone wrong they become embarrassed and say nothing. They often justify their poor results, rather than hear the “I told you so”. If something goes wrong overseas you have no recourse in action. You really have no one but yourself to blame. The only reason people go overseas is they think it’s cheaper but often it’s not, especially nowadays where we are seeing that the costs overseas have risen due to the increase in patients venturing there. They are getting wise! A patient has to determine whether a few extra thousand dollars over the course of their life is worth the risks. The truth is that all surgery carries risk and complications, so why increase it by having surgery in facilities with inadequate hospital standards, superbugs, questionable training and qualifications and inadequate aftercare. It’s up to every patient to make their own choices based upon all the information. Many patients do come back with acceptable results and no complications, whilst others do not. The problem is we don’t know in advance which one you will be!